A large residential and nursing care provider commissioned Narec Distributed Energy to provide energy assessment survey for a group of its fully occupied residential care homes in the South East of the UK. Due to the rising costs of commercial energy the client was keen to ascertain if there was scope for reduction in the running costs of the buildings as well as their wish to reduce their carbon footprint. To kick the project off, Narec Distributed Energy studied in detail the energy usage statistics for the sites taking into account local meteorological conditions as well as building size, construction methods and occupancy levels. Comparing the usage of similar sized homes gave good insight to how similar properties can often have extremely different utility usage. The data was analysed to differentiate the base loads and the seasonal effects on energy usage for each site. The figures for energy usage were compared with industry benchmarks to establish how these properties energy load compares with business types. The data analysis from the kick-off activities provided an excellent starting point in which to then carry out detailed surveying of the sites. Anomalies in energy usage profiles can give hints to where the immediate improvement opportunities lie. Discussions were held with the staff and management, and where suitable, the residents, to ascertain the level of temperature comfort required and to gauge the energy management strategy on site. 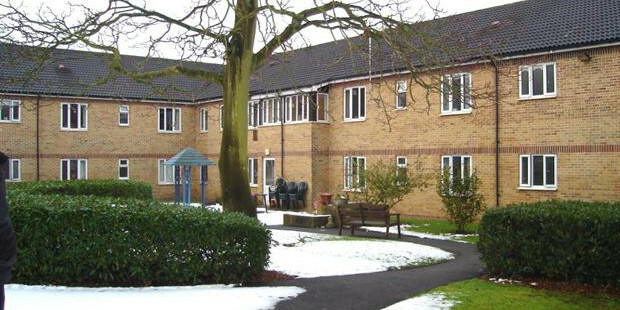 Utilising specialised survey equipment, such as thermal cameras, Narec Distributed Energy Specialists carried out detailed plant room and building surveys of each of the care homes. Incorporating building fabric, boiler plant, heating controls, lighting and other critical factors the study identified further areas of opportunity for improvements. Feasibility studies were carried out for each site for the potential for installation of on-site renewable energy generation such as PV, biomass, solar thermal and heat pumps as well as combined heat and power (CHP). Narec Distributed Energy considered a range of measures including energy efficiency, energy management and renewable technologies for each site and provided the client with a detailed list of immediate and longer term improvement activities to assist in the management of energy within their building stock.